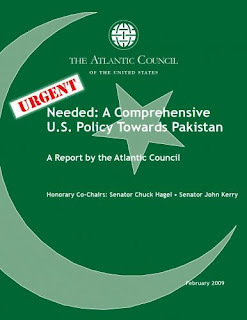 New Rport on Pakistan: "Comprehensive U.S. Policy Needed"
A total of $4-5 billion above the (Biden)-Kerry-Lugar proposals is needed beyond the IMF and other loans from the U.S. and other sources. Of this, about $3 billion should go to the economic and social sectors directly. About $1 billion of fresh or redirected funds would go to security forces -both military and law enforcement. Of this $1 billion, approximately $200 million would be applied to recruiting, training, and deployment of an additional 15,000 police within the next six months who are essential to bringing long-term law and order to all of Pakistan. During 2008, several useful reports on Pakistan were published by some of the nation’s most respected think tanks. Each of these studies contained sensible analyses of what the United States should do regarding Pakistan and proposed sound recommendations accordingly. Rather than repeat or duplicate these efforts, this report by the Atlantic Council proceeds along a different path. First, this report sounds the alarm that we are running out of time to help Pakistan change its present course toward increasing economic and political instability, and even ultimate failure. The urgency of action has been brought home by the terrorist attacks in Mumbai in late November that set Pakistan and India on a dangerous collision course. Simply put, time is running out for stabilizing Pakistan’s economy and security. As Pakistan’s President Asif Ali Zardari told the Atlantic Council during our December 2008 trip to Islamabad, “we – [the United States, Pakistan, NATO and the world at large] – are losing the battle” to keep Pakistan stable, at peace and prosperous. 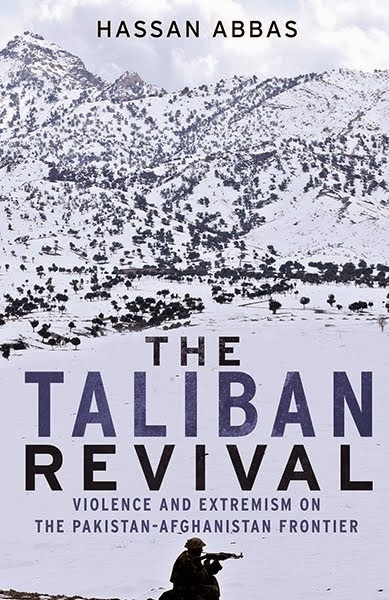 Unlike Afghanistan - where the international community is losing the struggle because of its failure to reform the civilian sector - Pakistan has the manpower and infrastructure to win its battles. But Pakistan can only do so if it gets the necessary support urgently. And it is self-evident that a secure, stable, and prospering Pakistan is in the best interests of the international community. We – meaning Pakistan and its friends – can and must win collectively. The starting point must be a full and objective understanding of today’s Pakistan and the fact that it is on a rapid trajectory toward becoming a failing or failed state. That trajectory must be reversed now. Third, this report outlines the possible short-and long-term consequences of inaction: some of these, such as the breakup of the country, civil war or an all-out war with India, could be catastrophic for the country, for the region, and for U.S. interests. Despite its current economic hardships, the United States has poured hundreds of billions of dollars into Iraq and many billions into Afghanistan in the past. However, it has been relatively miserly in its assistance for Pakistan where the stakes are far larger and more important to long-term American interests. There are good and bad reasons for this contradiction between needs and funding. And it will be extraordinarily difficult to convince a skeptical Congress and a public – already reeling with the trillion dollar cost of bailing out failed American corporations and agencies – of Pakistan’s urgent needs. The time horizon to get aid to Pakistan so it can begin the job of turning around its economy and polity is months not years. Pakistan requires a great deal more assistance than it currently getting if it is to succeed and the principal source of that assistance must be the United States. The U.S. also needs to urgently close the “Trust Deficit” between it and Pakistan, with greater exchanges of high-level visits, closer military, intelligence, and economic cooperation. 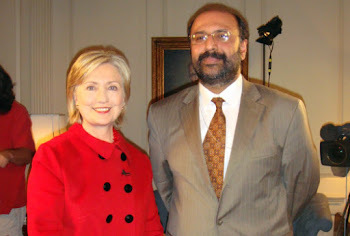 And it needs to pass the (Biden)-Kerry-Lugar bill as soon as possible to begin the flow of more resources to Pakistan.